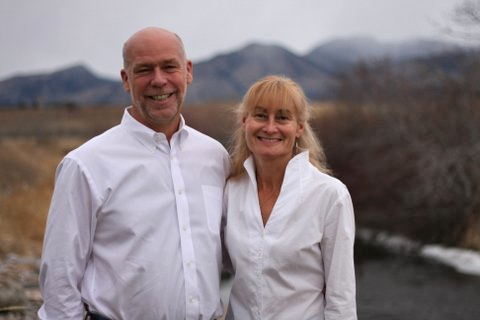 Greg and Susan Gianforte moved to Bozeman almost 20 years ago, in 1995. Having visited Montana in his youth, Greg was eager to make it his home, and he and Susan quickly fell in love with its natural beauty, people, and lifestyle. It was here that they raised their four children, and it continues to be their favorite place to live, work, and play. Prior to moving to Montana, Greg and Susan lived on the east coast. Greg earned his B.E. in Electrical Engineering and M.S. in Computer Science from Stevens Institute of Technology, and Susan earned her B.S. in Mechanical Engineering from Cornell and her M.S. 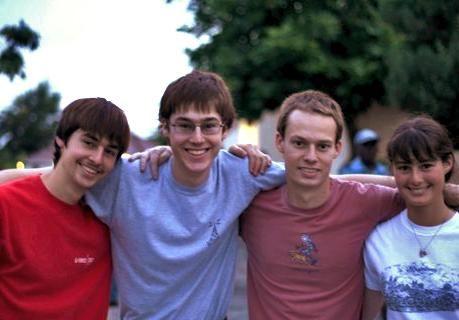 in Mechanical Engineering from UC Berkeley, followed by an MBA from NYU. They met working at AT&T Bell Laboratories in New Jersey, and the rest, as they say, is history. Greg began his career as a serial entrepreneur by co-founding Brightwork Development Inc., a developer of network management applications. He served as president there and built the company to 75 employees with software installed on 150,000 Novell network systems worldwide. Meanwhile, Susan worked up to a senior management position with KPMG/Nolan, Norton & Co., transitioning to part-time after their first two children were born. In 1994, Greg sold Brightwork to McAfee Associates, a provider of network security and tools, staying on as North American vice president and growing McAfee’s North American sales operation from $25 million to more than $60 million in revenues within one year. Following the sale of Brightwork, and the birth of their third child, Susan left her career to raise their children and help Greg in his entrepreneurial efforts. In 1997 Greg founded RightNow Technologies in Bozeman, with Susan working the first two years as the controller. Under Greg’s leadership as chairman and CEO, RightNow enjoyed continuous growth, with nearly 2,000 consumer-focused companies around the world using its products, including British Airways, Cisco, Nike, Nikon, and Sprint. Though it was headquartered in Bozeman, the company had more than 1,100 employees worldwide and more than $225 million in annual revenue. RightNow was the largest commercial employer in Bozeman and the only publicly-traded technology company headquartered in the state. Eight years after going public, in 2012, Greg sold RightNow to Oracle for over $1.8 billion. Greg has received many honors throughout his career, including the Stevens Honor Award in recognition of his outstanding record of achievement as a noted entrepreneur (to date he has started five successful software firms). Additionally, he was named Pacific Northwest Entrepreneur of the Year by Ernst & Young, was inducted into the CRM Hall of Fame, and was named to TechAmerica Foundation’s CLOUD2 Commission, where he and other experts from industry and academia provided President Obama with recommendations for both government deployment of cloud technologies and public policies to enable U.S. innovation in cloud-based technologies. Greg has also authored several books. His book Bootstrapping Your Business: Start and Grow a Successful Company With Almost No Money led to lectures on the topic at Stanford, Berkeley, Cornell, Harvard, Marquette, London School of Business, Stevens Institute, and University of Montana. In Eight to Great: Eight Steps to Delivering an Exceptional Customer Experience, he outlines ways in which companies may deliver better customer experiences while also reducing operating costs. 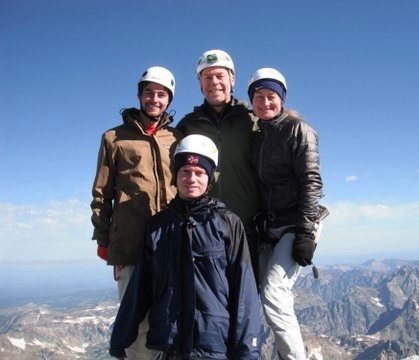 In their spare time, Greg and Susan enjoy exploring the great outdoors and spending time with their children. Greg is an avid sportsman and takes every opportunity he can to hunt or fish. Their children were raised on weekend hiking and camping trips, and despite most of them being out of the home now, Greg and Susan continue these family adventures whenever they can get together. They make a point to attend activities in which their children are involved, often making a trip cross-country to do so. They are also active members at Grace Bible Church, where they have attended for over 20 years.